You can now register to Smart prepaid 30 pesos internet surfing via the latest SAKTODATA 30 promo good for 7 days. Continue your daily browsing habit in very affordable way that could last up to 1 week. With this promo you’ll get 200MB data allocation that you can use in browsing your favorite sites, emails, Youtube streaming, listen to music playlist, Facebook, Twitter, Viber, play Clash of Clans and even the last Clash Royale in just one promo registration. Not just that, you also have a free 20 minutes call to Sun Cellular, Smart and Talk N Text. 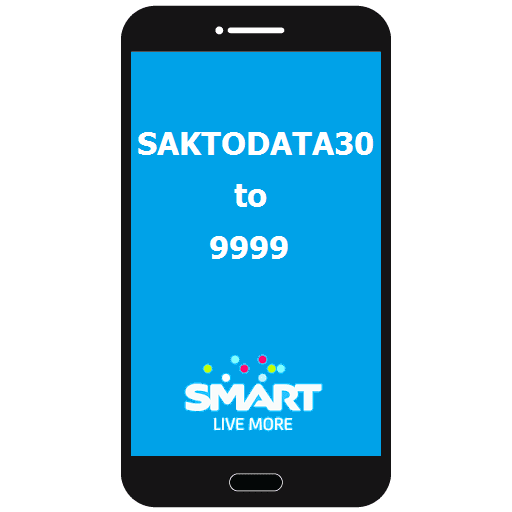 Once registered, you will receive a SMS notification that says you are now ready to use SAKTODATA 30 promo. You can start browsing using your mobile phone, tablet and even use it on your pocket Wi-Fi. Do note that 200MB is quite less if you’re medium to heavy internet user, you can register to SurfMax Promo if you want more bandwidth allocation per day. SAKTO DATA promo is designed for light internet user who knows how to value every MB’s. Paano gamitin yung 20min call? Hindi ba pwede smart bro sim dito? wala po bang unlitext ito? Why cant i use it? D 1st tym i subscribe, pwd pa, but then the second and third subscription, di ko nman na magamit. Kindly text POWERAPP OFF send to 5555 sa hindi nakakagamit ng SAKTO DATA promo. pwede ba mag register nito ang SmartBuddy? Pwede ba yan sa kahit anong apps? Lte sim pwde ba sya?